We are pleased to announce the new Wellcome Genome Campus Hackathon. This intensive two-day event will provide participants with an opportunity to creatively and collaboratively address a relevant challenge in the sphere of genomes and biodata. Participants will develop solutions that offer impact while honing their creative, communication and entrepreneurial skills. 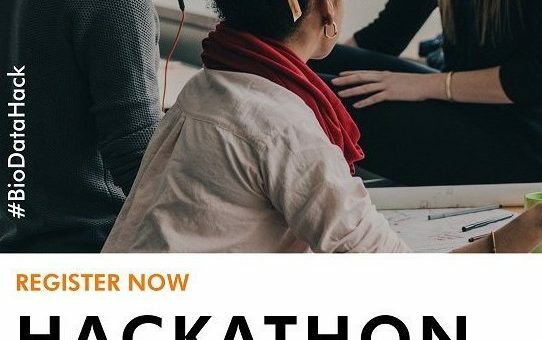 The hackathon will be organised around several areas related to the use of genomics and biodata to improve health outcomes. For example, how can we use data to find new opportunities to diagnose and treat disease? How can we capture and curate biodata more effectively? How can patients share their data to benefit society? How can artificial intelligence improve the use of biodata in healthcare? Participants will work in teams alongside mentors and advisors from a range of companies and organisations. These advisors will coach participants through the steps required to turn a novel idea or technology into a successful business. The outputs of all teams will be presented at the end of the event, with a range of prizes awarded for innovative solutions and outstanding or noteworthy efforts throughout the event. Inspiration to consider entrepreneurial and alternative career pathways and the confidence and intent to start to discover the possibilities and opportunities. Developing core transferable skills and knowledge for enterprise and entrepreneurship – including creativity, networking, communication and team working skills. Developing personal networks in terms of both their peers and connecting with entrepreneurial individuals and organisations. Gaining an appreciation of the innovation process and the steps required to take novel ideas and technologies forward into business opportunities or impactful solutions.